Summer is here and so is the time for summer decor, what say ? 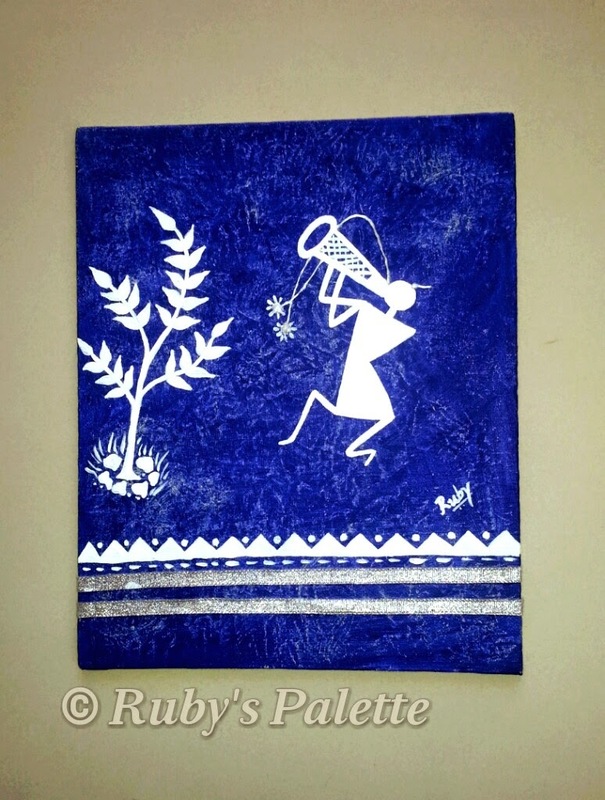 I am extremely passionate about Indian Folk Art, with Warli and Madhubani being my favourite forms of art. 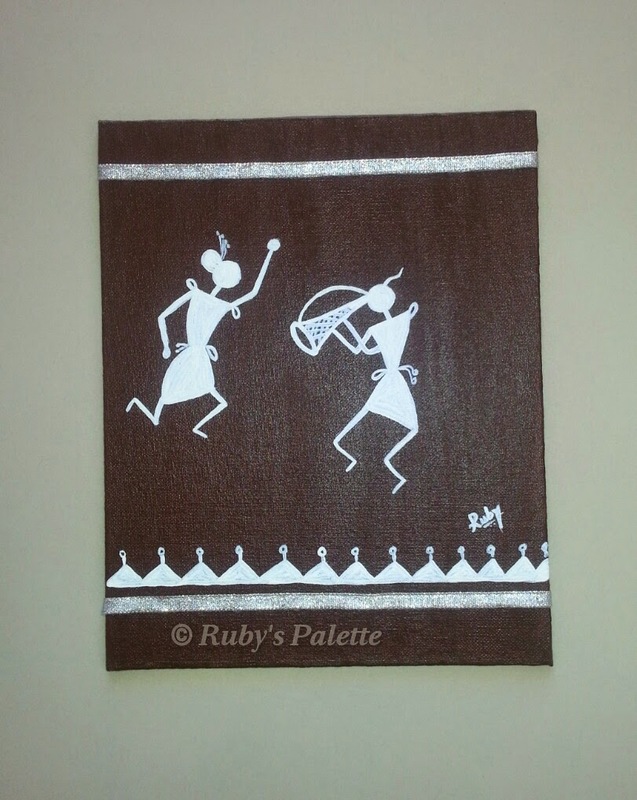 Warli painting needs no introduction. 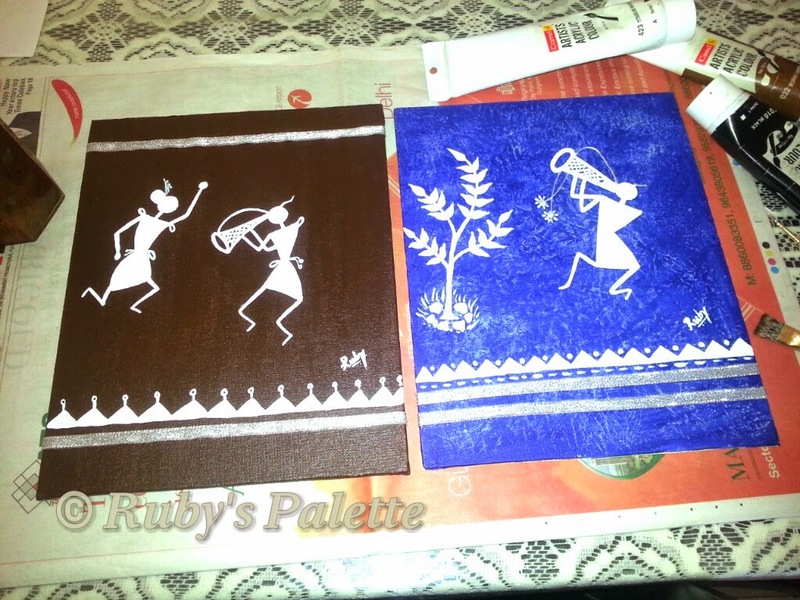 When we see Warli painting, we know that art need not be complex/complicated to be appreciated. 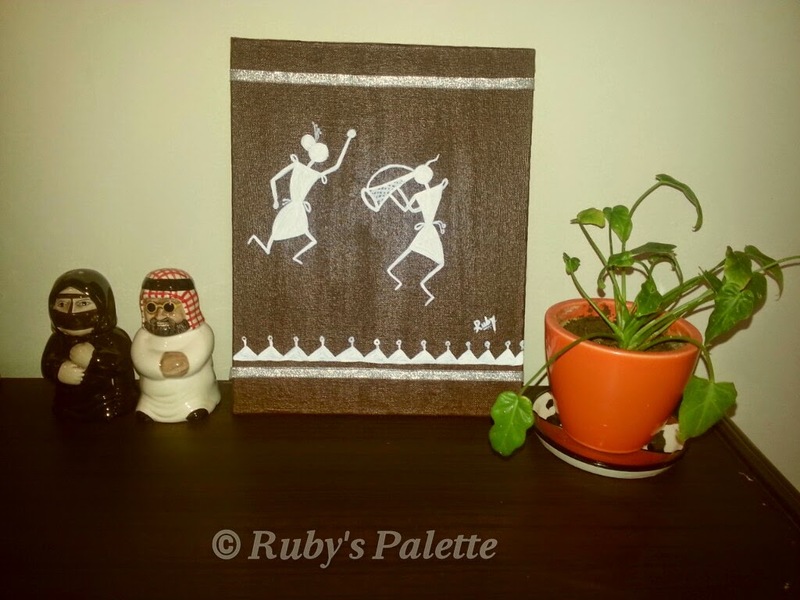 Warli paintings depict every day life in simple forms and straight lines. While the traditional paintings use only a single colour-White on a mud base, I have tried to break the monochrome and incorporate some additional elements too. They can also be framed and hung on the wall. Do let me know how you liked it. P.S. 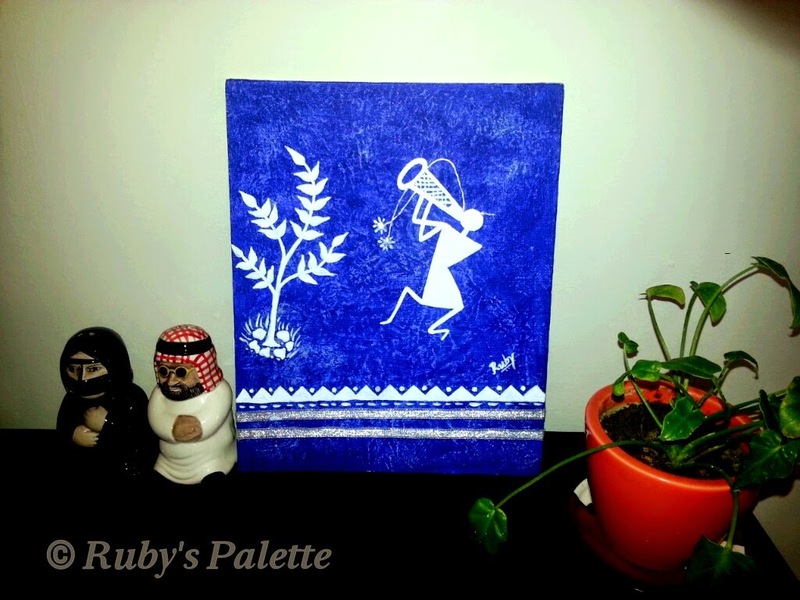 Don't forget to follow my blog if you like my work. Linking it to Sew Crafty Angel's- Wake-up Wednesday linky party.